Did Trump tell Cohen to lie to Congress about Russia Trump Tower deal? The US's first Indian-origin senator, Kamala Harris, has picked Baltimore as headquarters of her potential 2020 presidential campaign, a media report has claimed. 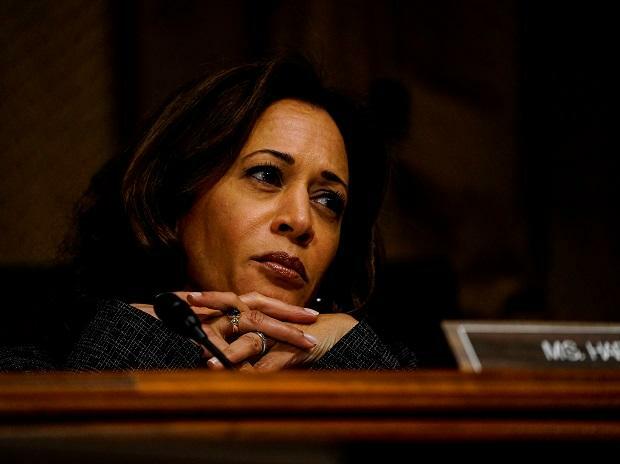 Harris, 54, who recently came out with two books including one for children, has not officially announced her 2020 presidential bid.But reports in mainstream US media suggest that it might be announced soon. Local Baltimore Sun Friday reported that Harris has selected Baltimore for her campaign headquarters if, as expected, she runs for president in 2020, according to sources familiar. Harris picked Baltimore because of its diversity, its proximity to Washington and because it is in the Eastern time zone, said the sources, who requested anonymity because Harris has not yet announced her plans, the daily reported. The senator's office has declined to comment on the report. It's the right choice," said Krish Vignarajah, a former Democratic gubernatorial candidate, told Baltimore Sun. The race ought to focus on the future of cities like Baltimore. And Senator Harris is incredibly inspiring hard not to love a strong, vertically challenged woman of color! she said. Congresswoman Tulsi Gabbard, the first ever Hindu elected to the US House of Representatives, is among the several Democratic leaders to have announced to enter the 2020 presidential race. Others so far being Senator Elizabeth Warren. The 2020 Democratic primary is expected to be a crowded race. Among other potential candidates are former vice president Joe Biden, former New York City Mayor Michael Bloomberg, former Congressman Beto O'Rourke of Texas and Senators. Cory Booker of New Jersey, Sherrod Brown of Ohio, Amy Klobuchar of Minnesota and Bernie Sanders of Vermont.